Interested in CareSource health insurance plans in Georgia? Learn more about our Georgia plans, programs and benefits, and find out how you can get more with CareSource. Free or low cost health insurance for families, children and pregnant women. CareSource understands there is more to health and well-being than just great health care. Our Medicaid plan covers all basic health care services plus extra benefits like expanded dental care for adults, extra vision benefits, free job help and training for members and parents and caretakers of members, and reward programs for members of all ages. Low-cost health care for children less than 19 years old. CareSource wants kids to be happy and healthy. Our PeachCare for Kids® plan covers all basic health care services plus extra benefits like programs for healthy and active kids, reward programs for wellness activities and free job help for members and parents or caretakers. No-cost family planning services. 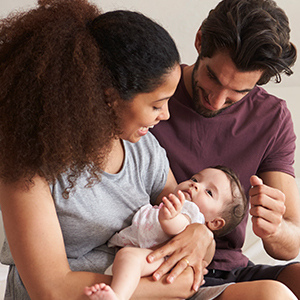 Women who do not qualify for Medicaid may be eligible to receive family planning services as part of Planning for Healthy Babies® (P4HB®). We provide women with health care coverage and services to help reduce low birth weight babies. Some women may qualify for additional services including primary care benefits and care management. Our health care plans are founded on the principles of quality and service delivered with compassion and understanding. We offer a unique approach to managed care through our process efficiencies and value-added benefits. We partner with health care providers to better serve our members. CareSource offers managed health care plans for the uninsured and people who need it most. We care more about people than profits, and we have a plan that might be right for you.